PROVIDENCE, RI--(Marketwired - Dec 20, 2013) - In pursuit of achieving the most natural and aesthetically pleasing results for his patients, Dr. Patrick K. Sullivan, a board-certified plastic surgeon in Rhode Island, often addresses multiple patient concerns in one surgery. This is especially common in his facelift and neck lift patients. Dr. Sullivan believes these procedures should be done in tandem in order to best ensure an artistic balance in the face and neck. When evaluating his patients, Dr. Sullivan takes each individual's unique characteristics into consideration and then tailors each procedure to match his patient's needs, while at the same time striving to achieve the most natural-looking results possible. Fatty deposits around the neck both above and below the platysma muscle. To determine the most advantageous treatment for each patient, he identifies their unique concerns and then discusses with them what his suggested best course of action would be. This sometimes involves surgical care on areas beyond the neck. When this is the case, Dr. Sullivan recommends combining procedures to help patients achieve optimal results. Since the neck is closely associated with the jawline and the face, he takes into account how surgery will affect this area as a whole. He finds that patients often desire more definition in their jawline, as this is lost over time. By removing the jowls, augmenting a receding chin and jawline with fat injections and/or lifting and filling deflated cheeks, Dr. Sullivan can provide more natural facial rejuvenation results. Dr. Sullivan frequently performs the following procedures in conjunction with neck lift and facelift surgery: forehead/brow rejuvenation and eyelid surgery, to remove the puffiness and circles under the eyes. With these additional procedures, which serve to address the "tired appearance," the face is artistically rejuvenated from top to bottom and "everything matches." During the combined procedures, Dr. Sullivan strives to restore the more youthful appearance of the facial tissue through carefully evaluating each patient's natural facial contours and their specific problems areas. While non-surgical methods for cosmetic enhancement can improve the appearance to a degree, Dr. Sullivan finds surgery can be the most effective means of achieving a natural, long-lasting, and rejuvenated appearance to the neck. For those considering surgical treatment for an aging neck and face, Dr. Sullivan stresses the importance of finding the right surgeon who can safely assist them in achieving their desired results. He notes that patients should be aware of the variability in surgical expertise. To help them understand what they can expect from a specific surgeon, Dr. Sullivan recommends they look at pre- and postoperative pictures of that surgeon's previous patients. They should pay special attention to photographs of patients who have had similar concerns. As a result, he believes patients can arrive at a more accurate understanding of how a specific procedure would affect them too. Double board-certified plastic surgeon Patrick K. Sullivan, MD serves on the faculty of Brown University Alpert School of Medicine and earned his medical degree from the Mayo Medical School in Minnesota. He completed residencies at Brown University in Rhode Island as well as the University of Colorado. 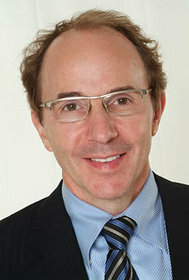 Dr. Sullivan has presented his innovative techniques at multiple national and international venues including, but not limited to, plastic surgery meetings in the U.S, Canada, South America, Europe and Asia. He has been honored as one of Redbook's "Top Doctors for Women," has also been named in the Castle Connolly Guide to "America's Top Doctors" and in U.S News and World Report as being in the top 1% of plastic surgeons in America. Dr. Sullivan is also a frequent contributor to the peer reviewed and internationally renowned Plastic and Reconstructive Surgery Journal. Dr. Sullivan is available for interview upon request. For more information about Dr. Patrick K. Sullivan and his practice, please visit drsullivan.com orfacebook.com/doctorsullivan.